The Muslim holiday of Ramadan is the 9th and most sacred month in the Islamic calendar. Traditionally, it’s a time of fasting from sun up to sun down each day. Children aren’t required to fast until they’re teenagers, but may fast for part of the day to help them appreciate the significance of the holiday. Fasting is meant to help Muslims practice self-discipline, self-control, sacrifice, and empathy. Ramadan is a time of spiritual reflection, growth, and religious devotion. Language Lizard offers a free, standards-based lesson plan that introduces students to Muslim customs and cultures, new languages and texts, and promotes acceptance of diversity. The lesson plan pairs with the bilingual storybook Samira’s Eid. Samira and her family get a surprise visitor during Ramadan who brings a special gift for them. The story teaches kids about the holiday’s traditions, and the meaning behind them, through Samira’s eyes. Receive a 10% discount on the book Samira’s Eid now through July 17, 2015! Simply enter Coupon Code Eid2015 during checkout. Samira’s Eid is currently available with English and your choice of the following languages: Albanian, Arabic, Bengali, Farsi, French, Kurdish, Panjabi and Somali. Each night at sunset, families gather for the fast-breaking meal known as iftar. Get in the spirit by trying some traditional dishes served at iftar with your classroom or family. One quick and easy dessert that the kids can help make, and will love to eat, is this traditional mango, pistachio and cream dessert. Ramadan can also be a time of beautiful decorations. Lanterns, in particular, have become symbolic of the holiday. Kids can make simple paper crafts, including lanterns, or try out more complex projects like this drum. Find kid-friendly Ramadan photos online to look through together, and discuss how Ramadan is experienced by the littlest Muslims. The PBS Kids website offers a free, interactive book about Ramadan and its traditions. Or check out this multilingual Ramadan poster that includes illustrations of the call to prayer, fasting, sharing an evening meal, and family time. Will you be learning about Ramadan with your classroom or family? Share your ideas by commenting below! Bilingual Book Promotion Launched on International Literacy Day! To celebrate International Literacy Day, Language Lizard is launching its Bilingual Book Promotion which will last until the end of October. Visit the Language Lizard website to learn more about this promotion and how you can receive free bilingual books! Please join us in celebrating this wonderful day! To learn more about the Language Lizard Bilingual Book Promotion, visit the Language Lizard website. 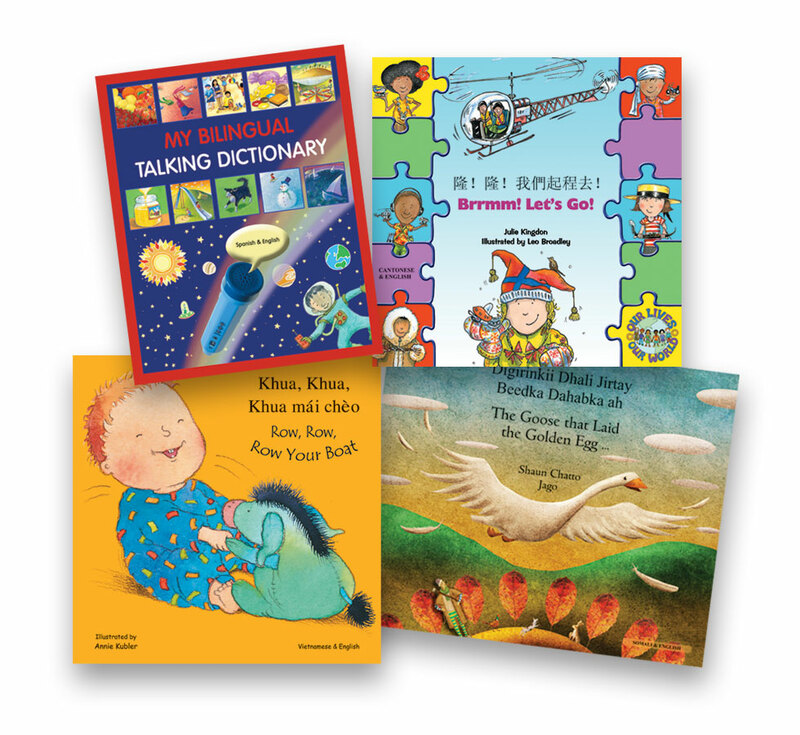 You have until the end of October to win free bilingual books! Language Lizard is giving away $300 worth of bilingual book gift certificates! There are four different ways to qualify for this giveaway so make sure to go to Language Lizard’s BILINGUAL BOOK GIVEAWAY page and find out how you can enter. It is easy! With books in over 40 different languages, you are sure to find something perfect for your children, your students and/or your school! So enter today! Preparing Your Classroom for Bilingual Students | English Language Learners / Dual Language Learners / Multicultural Education Support - Language Lizard Blog on Expand a Child’s World: Involving bilingual families and English language learners in the classroom and at home. Host a Bilingual Parents Night at Your School! - Multicultural Kid Blogs on Expand a Child’s World: Involving bilingual families and English language learners in the classroom and at home.